Produce isn't our only specialty here at Country Wagon Produce. 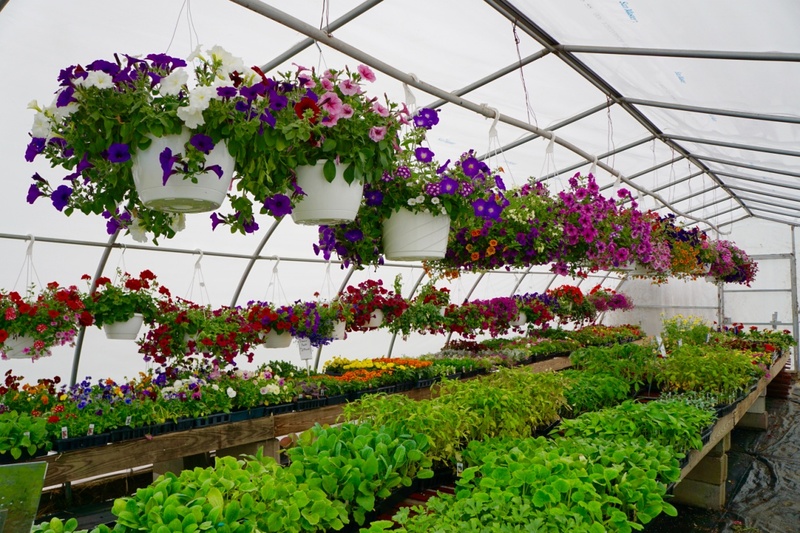 We offer many different greenhouse products including annuals, vegetable plants, herbs, perennials, seeds, onion sets, and seed potatoes for all of your gardening needs. 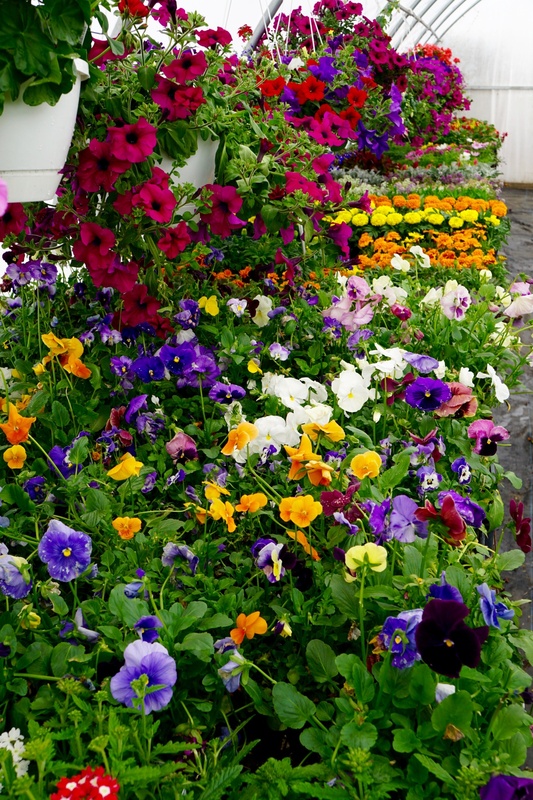 We also have bagged top soil, potting soil, compost, cow manure, mulch, and peat moss. 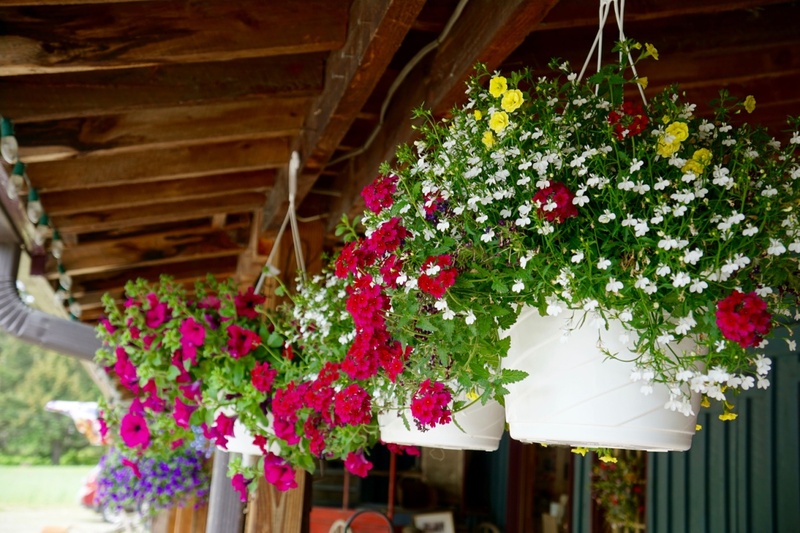 Our Greenhouse is always full of flowering packs of plants, hanging baskets, perennials, herbs, and vegetable plants. 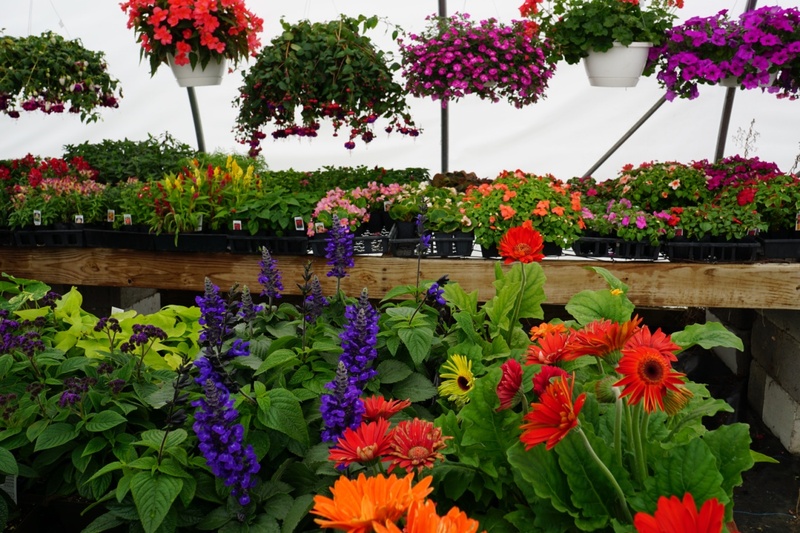 We carry a wide variety of plants so if there is something you are looking for you can find it here. Also, we have a beautiful variety of planters that are already potted, these planters make a quick and easy gift or are great for the cemetery. 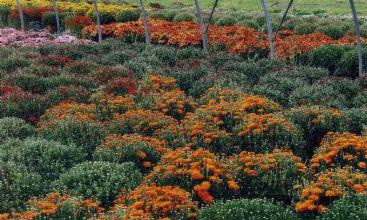 In the fall we have a huge selection of our home grown hardy mums. 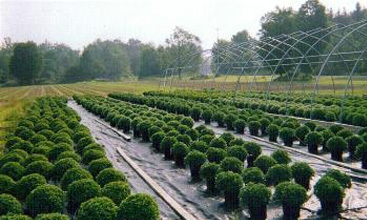 We work hard throughout the summer to grow quality mums. Many different colors of mums will blanket our front porch at the end of summer. 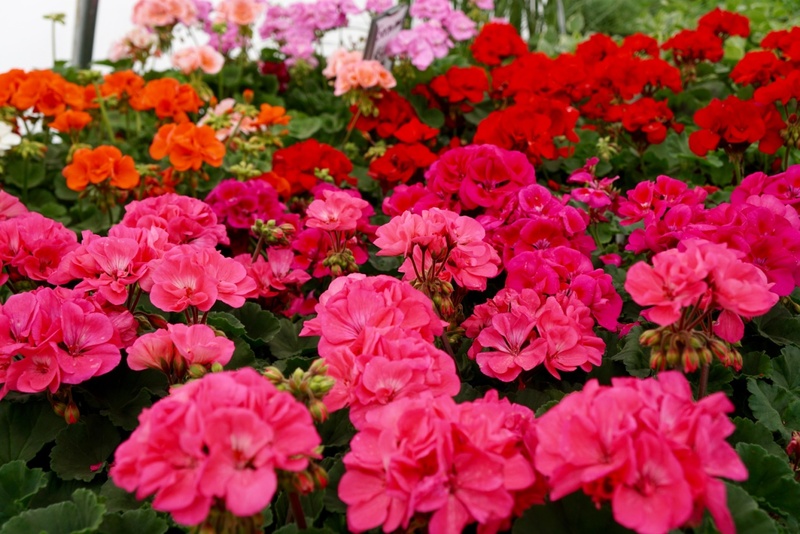 Yellow, orange, bronze, maroon, and pink are just a few of the colors that we grow. 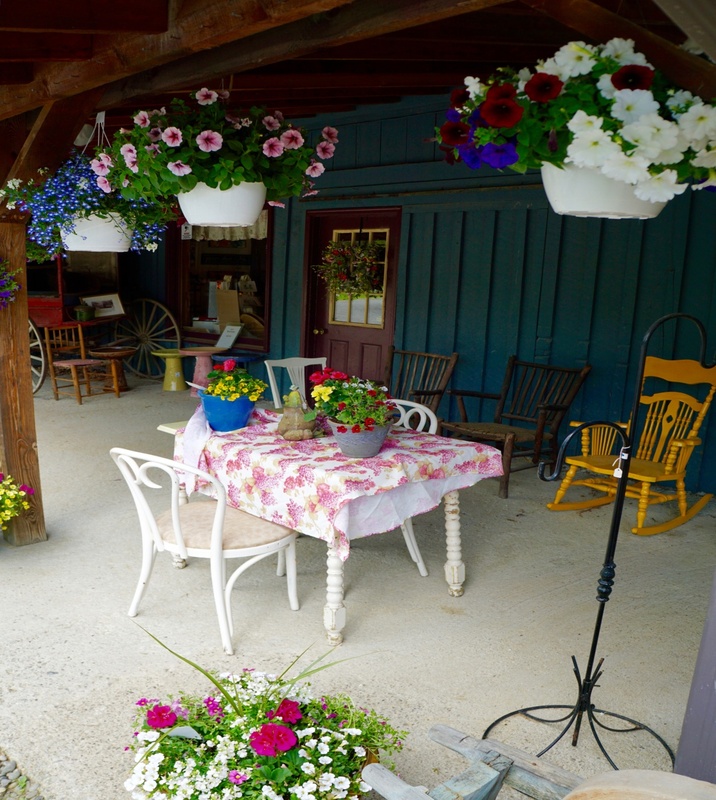 Our gift shop has many pretty garden stepping stones, stakes, humming bird feeders, wall art, lanterns, door mats, garden flags and large flags with flag poles.